RepTrak™ DeepDive is a quantitative stakeholder perception study that uses our RepTrak™ model which is grounded in academic research and over a decade of rigorous repeated testing. The RepTrak™ model consists of 7 dimensions and 23 attributes. This model can be used to best explain the reputation of your company. source ratings from 300 respondents. determine the emotional connection respondents have with your company. 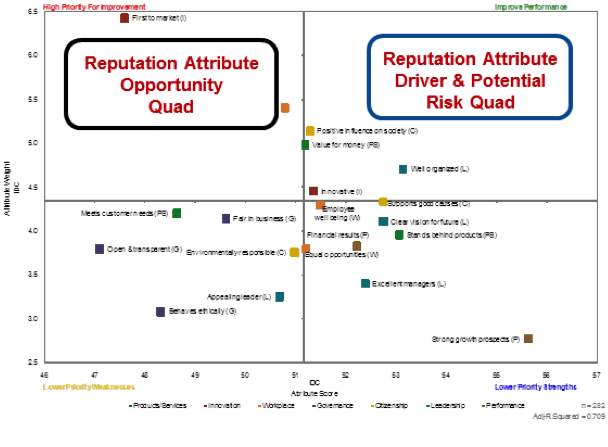 through statistical analysis identify drivers of your company’s reputation. 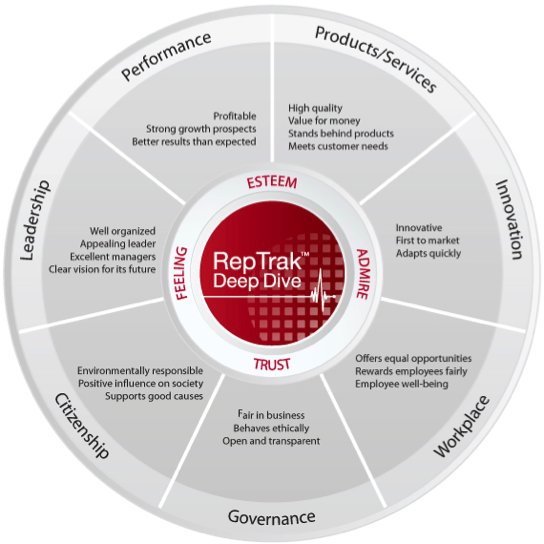 identify which RepTrak™ attributes can be leveraged to influence behaviour (i.e. would invest; recommend; use products/; trust in times of crisis). benchmark the scores against a relevant company. 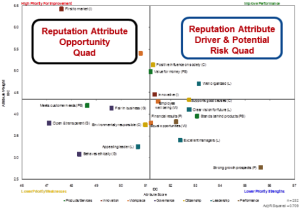 Your company’s specific reputation index score – benchmarked against the company of choice. Your company’s specific reputation drivers – i.e. what should your company be prioritizing in its messaging and communications in order to improve its reputation among its key stakeholders. A supportive behaviour analysis including the identification of strategic leverage areas to shift behaviour.